What is the cocoon coat? What does that even mean? Well I will tell you because I had to look it up. Picture the butterfly cocoon. It is a straight-down, unstructured, masterpiece. You don't need to admire it's curves, it's straightforward and simple. How does this translate to fashion? This coat has a lack of shape, embrace it. There is no need to belt it, there is no need to define a waist. It's a cocoon. Own it. 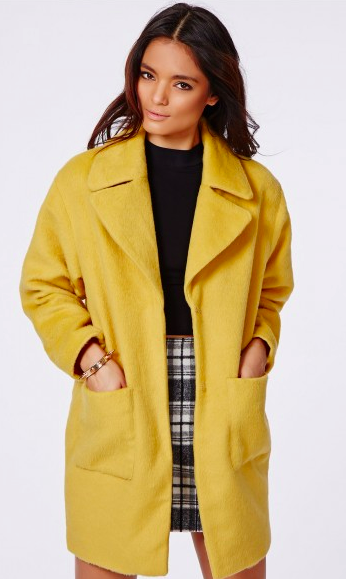 How airy and simple is this coat? I'm obsessed with this pink. Keyword: fluffy. Comfort meets warmth in this perfect go to coat. Ok chic Forever 21, I see you! Oh mustard, how I love you. 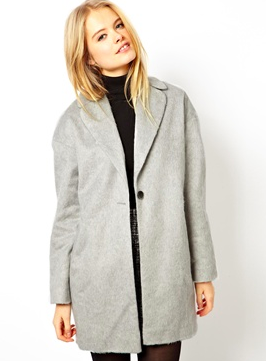 So what are we thinking on the cocoon coat? Pretty great, right? Agreed. 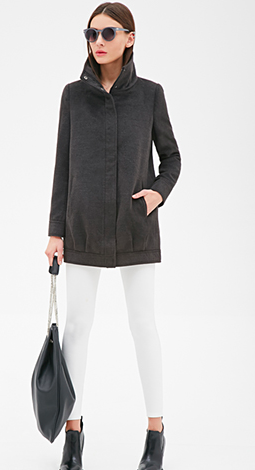 A great addition to your coat closet that is casual and chic.